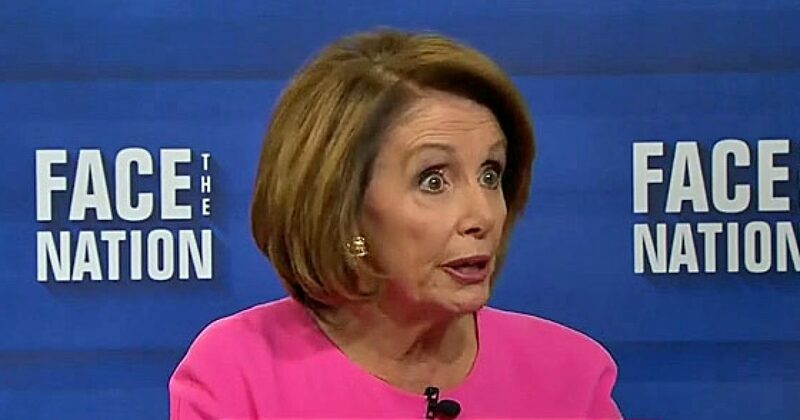 Soon Nancy Pelosi may wish she hadn’t become Speaker of the House again. She’s has joined a fight that the Democrats can no longer win. The complexion of Congress has changed dramatically since Pelosi last held the gavel. Many Congressmen did the unthinkable and term-limited themselves. For Congressmen and Senators to simply walk away is practically unheard of. Most credit the Trump presidency with creating this phenomena. Also, the media has been decimated. Again, by Donald Trump. No longer can the media dictate the narrative or even the pace of the narrative. Now they have somebody who pushes back against “fake news”, and who establishes his own narratives. The by-product of both of these major turn of events is Republicans now more truly represent the people. And secondly, Republicans now have backbones. On Wednesday, Axios reporter Jonathan Swan sent a tweet out regarding Pelosi’s attempt in a meeting to debunk the merits for a wall by arguing that tunnels can go right under it and yield it ineffective. But Crenshaw did more than that. The freshman Congressman declined his paycheck. He commented that if government employees aren’t getting a paycheck, neither should members of Congress. Crenshaw, a former U.S. Navy Seal also responded to a tweet regarding a K-Bar knife that sits on his desk with a fallen and fellow SEAL’s name engraved on it. Because Leftists look for any reason to decry those who actually serve our great nation. Trump brings out the best in Republicans. Clearly most people can see that Trump has impacted the Republicans in ways nobody thought possible. He certainly surprised many when he got his tax cut passed. Many thought the tax cut was an impossible task, yet the economy benefits tremendously from the cuts. Democrats proposed Armageddon in the event the tax cuts passed. However, Americans got raises in their paychecks and hundreds of thousands received bonuses. Democrats said that Trump’s trade policy would doom the economy. Quite the opposite holds true, as the economy booms. The “trade war” that was to create a catastrophe now works in America’s favor on every front. In fact, China signaled an end to the so-called war, as they offered to dispatch their Trade Czar to meet with the Trump team in the very near future. Dan Crenshaw is the new breed of Republican. While it remains to be seen what his views are across the board, the fact that he deferred his salary as his Democrat counterparts partied in Puerto Rico speaks volumes. As for Pelosi, Democrats have made a big mistake. They brought back a relic to fight in the new war, much like bringing a cannon to a 21st Century battle. Pelosi has already shown she is out of her league in her latest effort to postpone the State of the Union. Desperation shows with the Democrats. They’ve been spiraling to oblivion for the better part of three years. And in 2019, that spiral has been put on steroids.